Teacher Resources > Monday Morning Ready > Could ‘nanowood’ replace Styrofoam? Why isn't Styrofoam considered to be an environmentally friendly product? Imagine that you were constructing a building. For the insulator, you could use nanowood, which is more eco-friendly, or foam, which is cheaper. Which product would you use? Why? According to the article, using nanowood as a building material could potentially "save billions" in energy costs. How do you think consumers, who would reap those benefits, could convince builders to use the more expensive product in their projects? 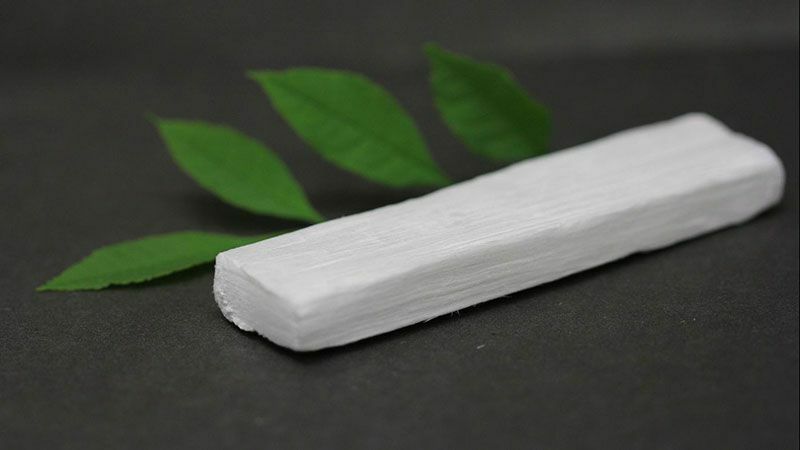 According to the article, the University of Maryland team that developed nanowood thinks the material can be produced fairly cheaply and quickly using fast-growing trees like balsa. What other obstacles must the team overcome before nanowood can hit the market on a large scale? Even with advances in recycling technologies, most Styrofoam still can’t be recycled. So it remains in landfills, taking centuries to break down. Read this Smithsonian magazine article to learn how mealworm larvae might be the answer to this global pollution problem. Many people are interested in going green. Even more people want to save money. But local covenants must still be maintained. In this Cooper-Hewitt, Smithsonian Design Museum lesson, students design an environmentally friendly way of drying laundry, such as a clothesline. Then they brainstorm ideas about how to do this while still following local zoning laws. Have you ever thought about how one product, such as wrapping paper, could affect our landfills? In this Cooper-Hewitt, Smithsonian Design Museum lesson, students brainstorm ideas about how to address this problem and write an article to educate others about the issue. This teacher-created lesson from the Cooper-Hewitt, Smithsonian Design Museum encourages students to look at production-consumption systems through the lenses of geography, science and economics. Students research the source of materials used in common products and then design an alternative system that helps conserve resources. Researcher Theresa Dankovich invented a bacteria-killing water filter that is made of biodegradable paper embedded with silver nanoparticles. Watch this video from the Lemelson Center, National Museum of American History to learn more about her work. In this lesson from the Cooper-Hewitt, Smithsonian Design Museum, high school students learn about energy-related problems and design solutions. Students investigate the sources and properties of energy, conduct Internet research and create a workshop for their classmates. In these lesson plans from the Smithsonian Center for Learning and Digital Access, students take on an environmental project. They interview people who live in their town or neighborhood. They ask about the state of the local environment—and how it has changed over the years—before deciding on a problem on a problem to tackle.